With the above stats, it’s clear that CRM is not a marketing fad. It’s now the topmost priority for organizations who want to effectively manage their customer relationships. Achieving your business objectives will be possible only when you have a clear understanding of your buyer persona. It is essential to gain insights about them, know how to engage with them in order to guide them deeper into the buyer’s journey and finally be able to measure your marketing strategy’s effectiveness. CRM will be your buddy through the entire gamut of these activities. But, the final decision of choosing the most appropriate CRM for your business is the deciding factor for the success or collapse of the entire approach. HubSpot and Salesforce both have locked horns in the raging battle of the best CRM and both are at the top of their game! And, why not? Salesforce is the reigning king in the CRM industry whereas HubSpot is slowly and steadily rising to become a globally popular and widely accepted CRM system. Salesforce is a powerful CRM tool which allows access to vast amounts of data and offers a great level of flexibility to sales and marketing teams. But, these are no longer the only desirable features in a CRM system. HubSpot, on the other hand, provides detailed insights about your buyer persona and aligns your sales and marketing teams. It has now conquered almost 50% of the market in the business automation software sector. One of the most frequently asked questions, we hear is - Which CRM is best for our business? Well, we aren’t showing off but we do have a team of CRM experts who are well versed with both Salesforce and HubSpot :) Let’s take you through both the CRM platforms to help you decide wisely! The Salesforce interface is not very user-friendly and appears complicated to new users. Most of the users don’t utilize all of its features, hence they miss out on its advantages leading to lesser ROI on their investment. It has numerous tabs and buttons which may leave you puzzled. The interface has certain limitations which restrict the users from maximizing their productivity. On the other hand, the HubSpot interface is simpler and user-friendly, allowing the beginners to get familiar with it with lesser efforts. The design is simple and only relevant tabs and buttons are visible, making it easy for first time users. It doesn’t require a large investment to understand the details of this platform. Email Sequences- Wouldn’t it be great if you could send automated follow-up emails to the prospect who downloaded an ebook from your website, till the prospect doesn’t reply? The sequences tool allows you to enroll your prospects in certain sequences (e.g. if the prospect doesn’t reply in “x” number of days) in order to ensure that they are receiving personalized emails from a sales representative. Book Meetings- Salesforce has a similar feature of sending time availability to the prospect via email but HubSpot ‘s book meetings feature has an edge over them. 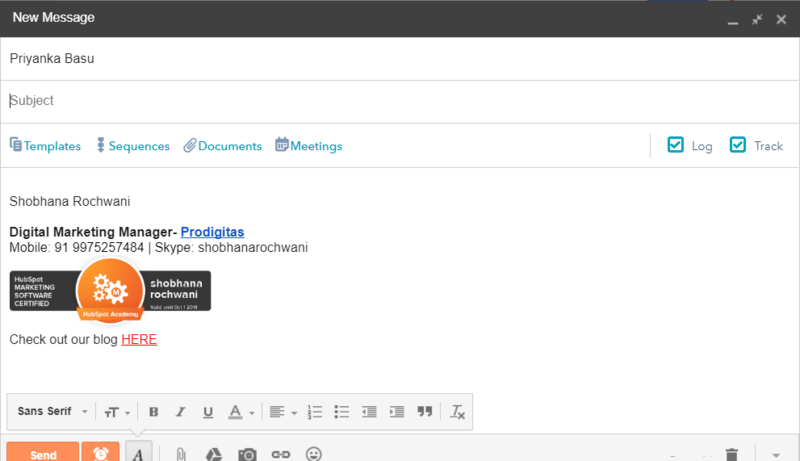 You can choose the date, time slot and even select the duration of the meeting and send email notifications. 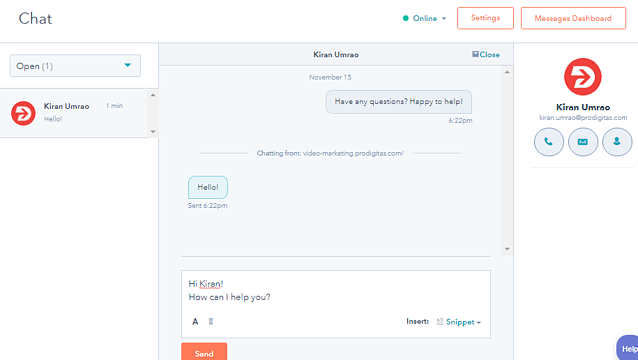 Live Messages- HubSpot offers this unique feature of personalized live chats and messages depending on the website visitor. It can show the picture of a sales rep and it’s fully integrated with the CRM so you have the entire record of all interactions for future analysis and monitoring. The chats can be personalized based on whether the prospect came from organic search or through social media post or if the prospect is on a particular page, a certain message can be displayed. Also, if an existing customer visits the page, the picture of the assigned sales rep will be displayed, helping the prospect with the sales process or with any required information. 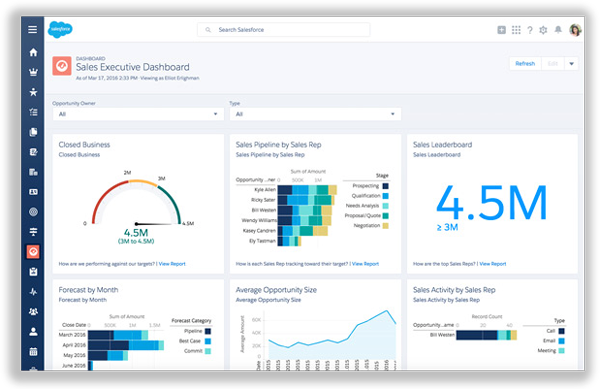 Salesforce is the clear winner when it comes to reporting. There are many reporting options and it’s detailed. But, you can always purchase the additional reporting feature at $200 to enable the reporting feature which is then as good as Salesforce. Comparing the additional charge of $200 along with the HubSpot charges of $50 against the Salesforce charges of $75-100- you will still find HubSpot better because of its additional features and benefits. Both the CRM platforms offer the add-on marketing software at an extra cost. This will allow your business to easily segment your prospect lists and connect with them on various social media channels. 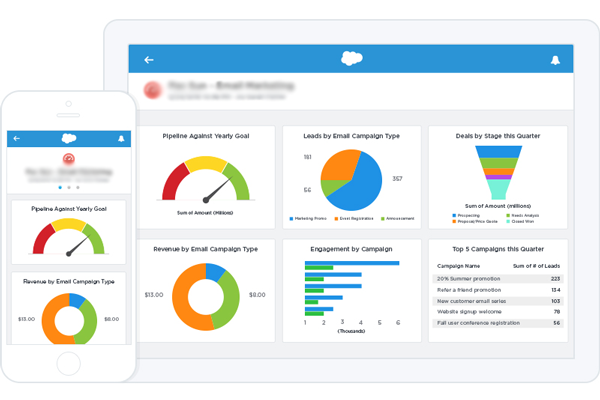 Pardot is the Salesforce marketing add-on available for $1000-3000 monthly. 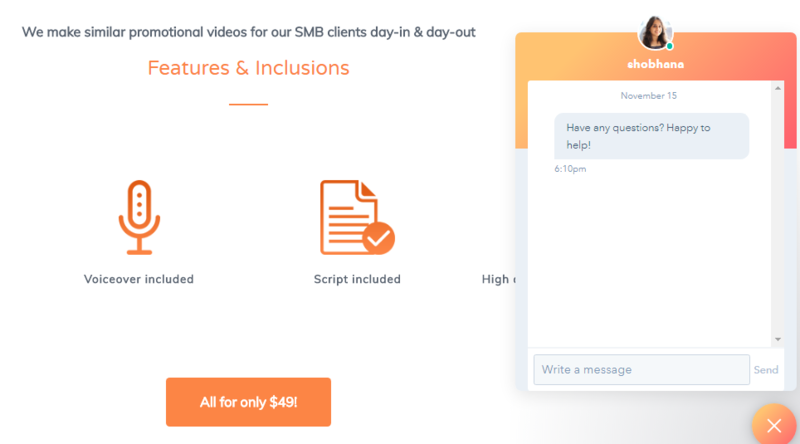 HubSpot’s marketing add-on is available for $0-2400 monthly, their packages range from free to an enterprice package of $2400/ month. Usually, the average use is around $1000 per month. Salesforce tools have a minimum 5 users requisite along with the additional features you purchase. Prices start at $25 per month for a starter pack to about $75 monthly for professional packs. It doesn’t include workflow automation with CRM. With $150 per user, you can have enterprise level which allows you to access workflow automation, single sign-on & API integration. We’ve some great news on behalf of HubSpot here! HubSpot CRM is not free for trial, it is free forever with basic features for single user. But, if you want access to features like book meetings, live chats, emails sequences etc. you’ll have to pay $50 monthly which is for one user. For advanced sales teams their professional package is best suitable which is for $400 and 5 people can use it! Need to compare other CRMs? Read this, HubSpot versus Vtiger: Which CRM is better? Choosing the right CRM is a daunting task, hence it’s essential that you understand the features carefully and it’s possible impact on your business before you finalize a CRM. Let the CRM experts at Prodigitas help you take a well-informed decision by taking into consideration various factors like your business type, buyer persona, cost, sales and marketing alignment, reporting etc. Connect with us for a discussion on the best CRM tool for your business! 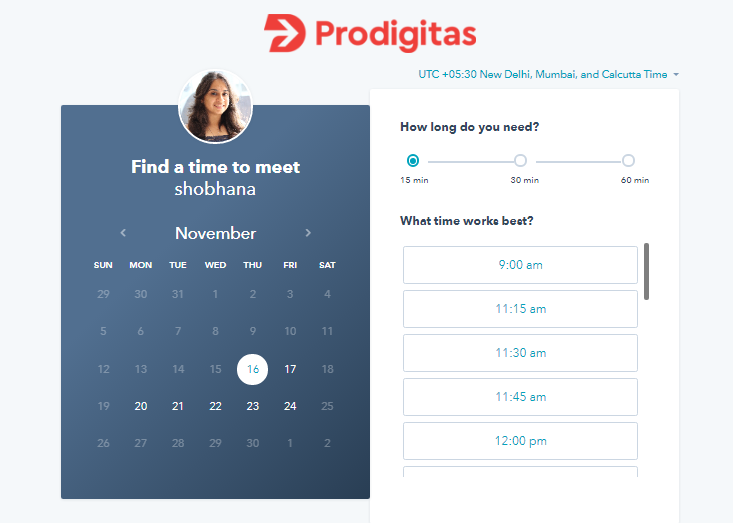 Prodigitas enables modern marketers and business leaders with world-class & enterprise grade marketing software and on-demand technical services to launch, manage and measure their digital marketing engagements.